How is that possible in a country with rampant heart disease, cancer and obesity-related illnesses? Simple: Adverse childhood experiences, also known as ACEs, are directly tied to these and other chronic and fatal illnesses. Oklahoma lays claim to heartbreaking statistics, ranking in the nation’s top 10 in teen birth rate, children in poverty, infant mortality and childhood obesity. It is no surprise, then, that our state has the highest percentage of youth experiencing four or more ACEs in the country. Tragically, these children face incredible hardships while their brains and bodies are in critical stages of neurological and physical development. Trauma – including abuse, neglect, domestic violence and broken homes – has affected the learning of hundreds of thousands of Oklahoma students. But research indicates that educators are perfectly positioned to be change agents in turning around the insidious forces of childhood trauma. 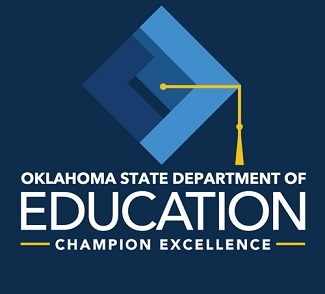 On Oct. 2, the Oklahoma State Department of Education hosted more than 800 educators and stakeholders at a statewide summit, It Starts Here: Trauma-Informed Instruction. Attendees came from Oklahoma’s highest-need schools and districts to learn from a host of experts how to support students affected by ACEs. In a powerful presentation, Alliance for HOPE International’s Casey Gwinn shared how to reverse the impact of ACEs with the science of hope, and Steve Graner, a ChildTrauma Academy fellow, taught attendees to “connect before you correct” when managing classroom behavior. During the summit, a trio of courageous young people affected by childhood trauma had an honest conversation about how caring teachers helped them overcome the effects of trauma – and were open about those who didn’t. Before learning can take place and academic outcomes improve, we must meet children where they are. Oklahoma is committed to tackling the real-world needs of our students by providing the resources our teachers need to serve them. As the event name indicates, It Starts Here: Trauma-Informed Instruction was a beginning. But it was definitely not an ending. Oklahoma is committed to tackling the real-world needs of our students by providing teachers with the resources needed to serve them.